To enhance your appearance even more, Treuvís Eyes Nails Body Laser Spa in Clinton Township, Michigan, offers brow microblading. This advanced beauty treatment helps shape your eyebrows to make your eyes pop. To learn more about brow microblading and how it can improve the appearance of your eyebrows, call the office today to schedule an appointment. Microblading is a revolutionary service that involves using semi-permanent ink to draw in blades of hair one-by-one to create a natural looking eyebrow. If you’re experiencing thinning eyebrows or in some cases no eyebrows at all, microblading delivers the brows you want. No more penciling in your brows daily to create the brows of your past. Results from microblading are entirely natural and help define your eyes and frame your face. Book your free consultation for microblading by calling the spa. What can I expect during my brow microblading procedure? Come to the spa with your eyebrows penciled into your desired shape, size and tail length - this will help to ensure that you’re getting the preferred shape and thickness you’re expecting. You will fill out the microblading consent form at check-in, followed by a one-on-one with the licensed and certified technician. Before and after photos are taken, once the brow shape is confirmed by you. The procedure begins by preparing and cleansing your brows and skin, then a numbing cream is applied to the brow area prior to any treatment. The microblade specialist measures, shapes, and draws your brows out as a template and guide prior to the actual pigment being used for the stroke by stroke procedure of microblading. This process takes approximately 2-3 hours to complete from the time the dye pigment is applied to the skin. 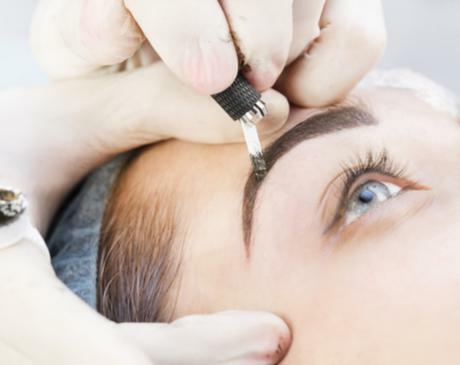 Once the microblading treatment is complete, a detailed aftercare consultation will be discussed with your spa tech to ensure that you’re taking care of your brows as they heal. Healing can take 4-6 weeks. If you’re interested in having this service and need additional treatment details, book a free consultation with the microblading tech by calling the salon today. A touch-up may be needed 6-8 weeks after your microblading procedure has completely healed. Touch-up varies from person to person, and a free follow-up appointment with your microblading specialist is recommended to see if you would benefit from a touch-up. 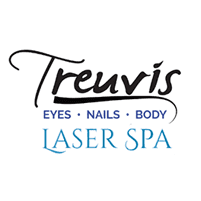 To schedule your brow microblading consultation, call Treuvís Eyes Nails Body Laser Spa today.